T.O.P on a Segway, wearing an orange wig and looking oddly like a ginger version of Willy Wonka? For some reason I love this. One of the cutest mistakes ever. T.O.P and Daesung in their dressing gowns… I think it’s obvious why I like this. Clips of T.O.P speaking english, what do you think of his pronunciation? Thought T.O.P can’t sing, think again! 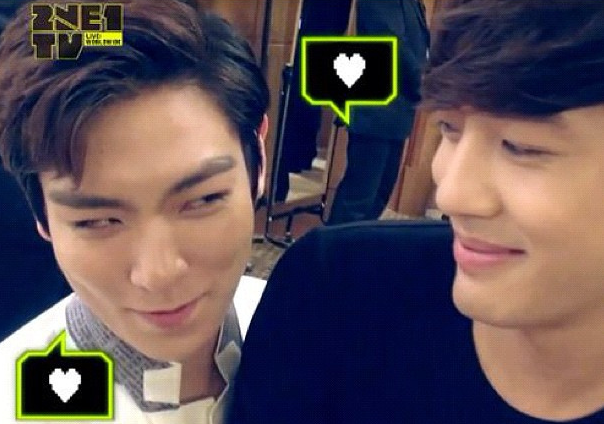 T.O.P and Se7en take their Bromance to the next level, as they adorably flirt with each other. Not sure which is funnier, T.O.P feeding Taeyang snow or Seungri’s hilarious laugh. Choom T.O.P at his best. T.O.P laughing is guaranteed to make you smile. If you’ve ever wondered why T.O.P fans don’t like it when you post up pictures of his ex-girlfriend or his family, here’s why. This is the interview that made him my bias, as I loved how sincere and thoughtful he is. Tell me if I missed out any videos or which is your favourite, in the comment section below!